If you want to report on user Internet usage and possibly even define access rules based on your Active Directory groups this document is for you. 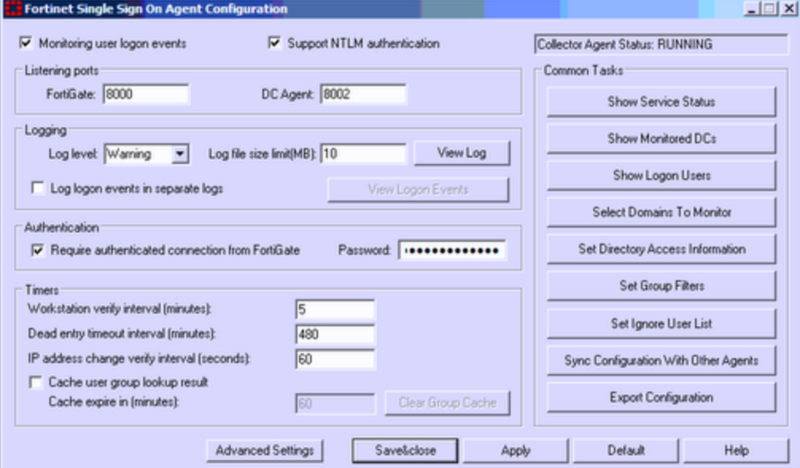 We’ll install the FSSO Collector Agent in basic mode, identify the groups we are interested in and setup the FortiGate. 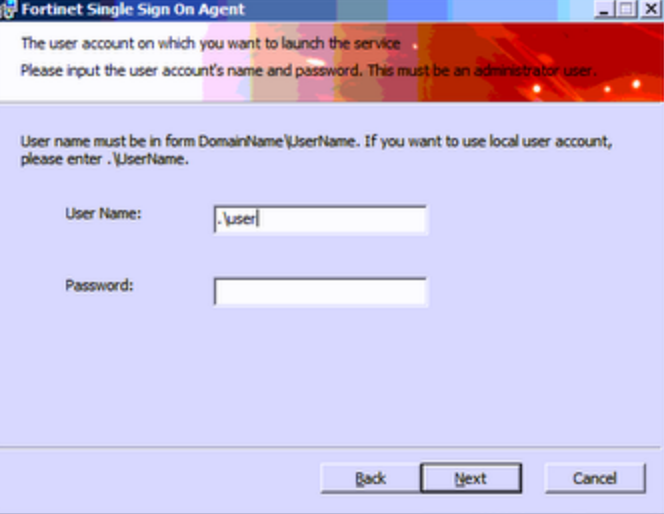 The FSSO Collector will monitor the Windows security logs on your domain controller for log on and log off events, these events contain the IP address of the computer that logged on or off along with the AD username. It relays this information back to the FortiGate so your usage reports show up with identified usernames instead of IP addresses. You can also use this information for firewall rules based on username without requiring your users to login. Since we’re doing this in easy mode, leave the default options for settings. After the installation finishes it launches the configuration. Confirm the IP information and port you want to use. 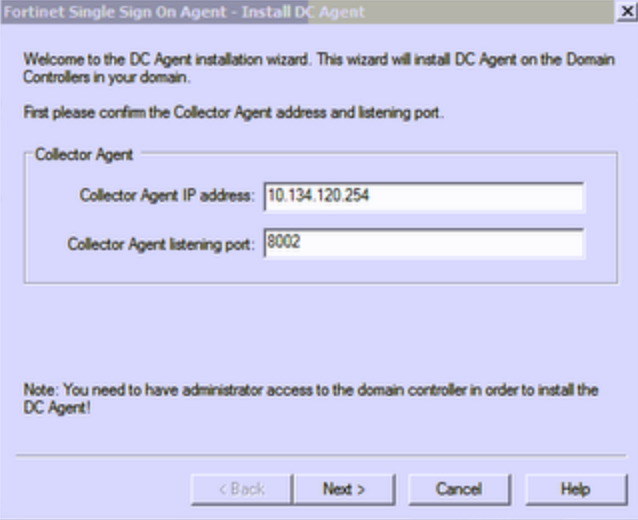 The configuration program locates all domain controllers, if they are active leave them selected, de-select any that are no longer active. 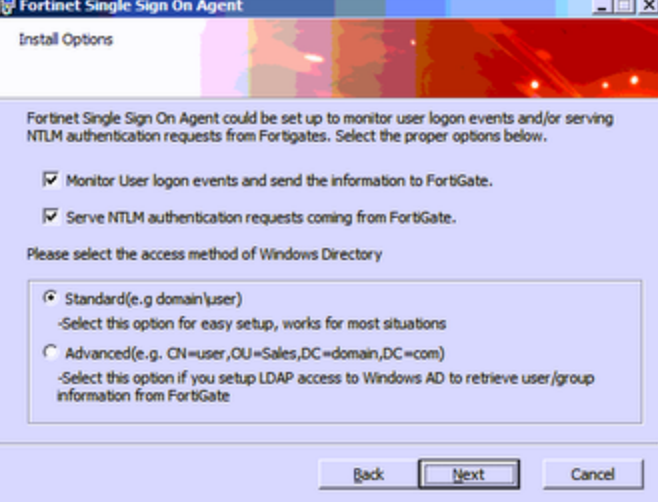 In the Authentication section change the password and make a note of this password, you will need it for the FortiGate configuration. Click Apply, and Save & Close. Verify you have the correct password on both sides. Once you have a green check box in the status field you are done! It takes a logon/logoff event to start the data collecting so don’t be discouraged if you don’t immediately see usernames populating.